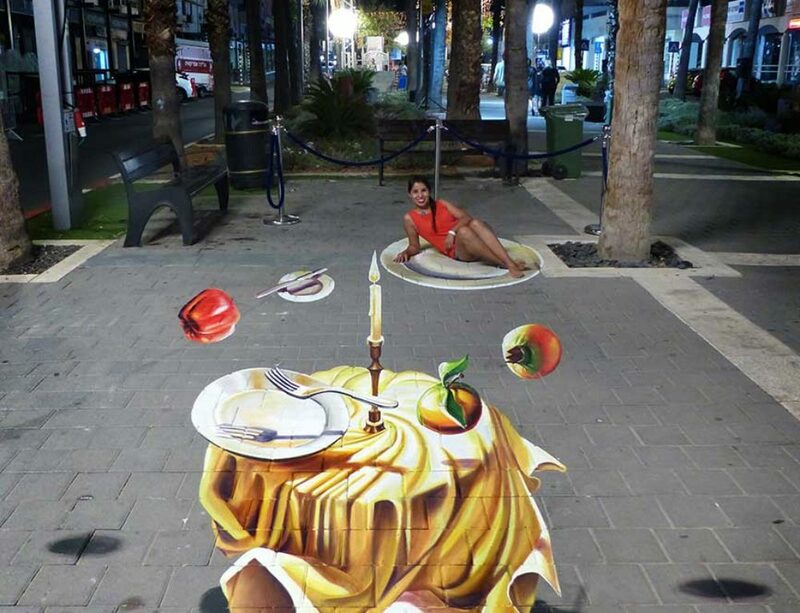 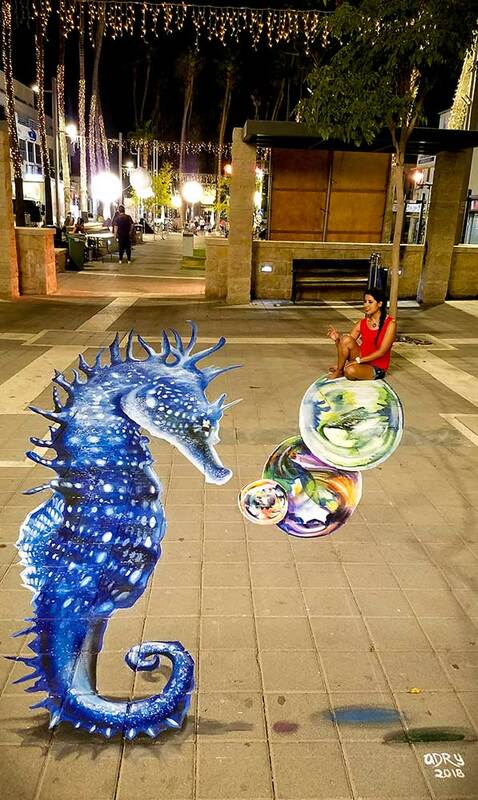 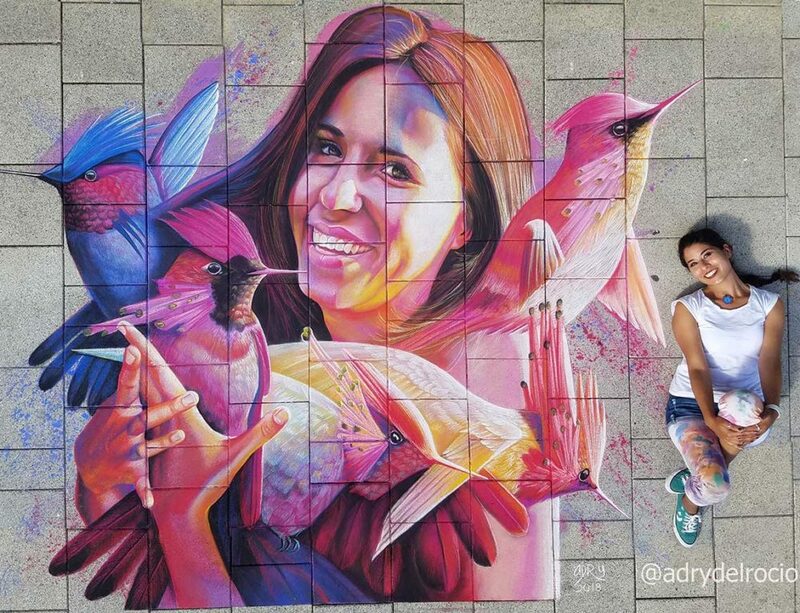 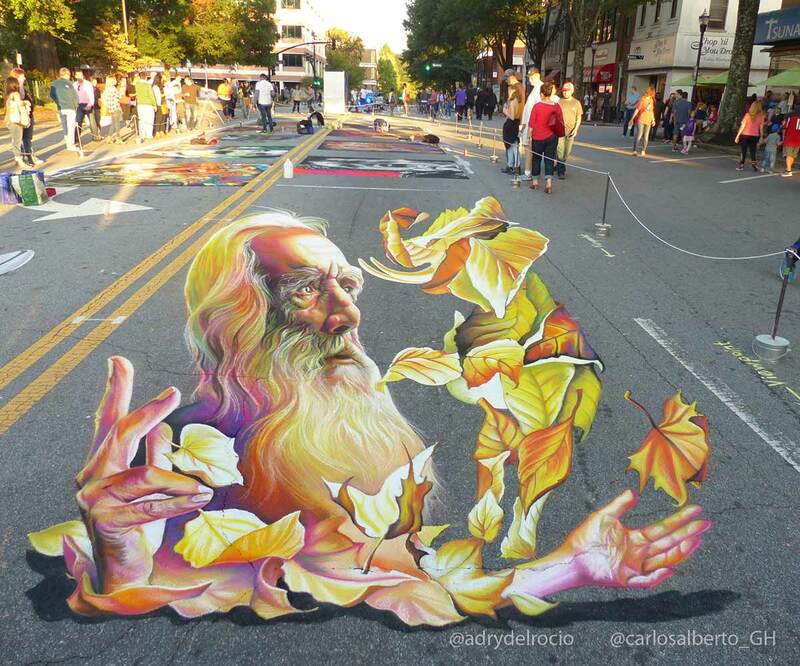 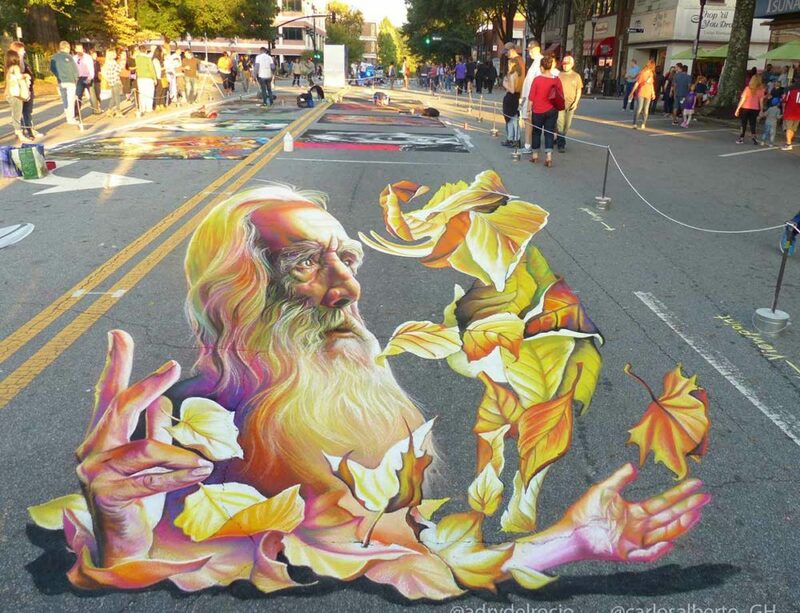 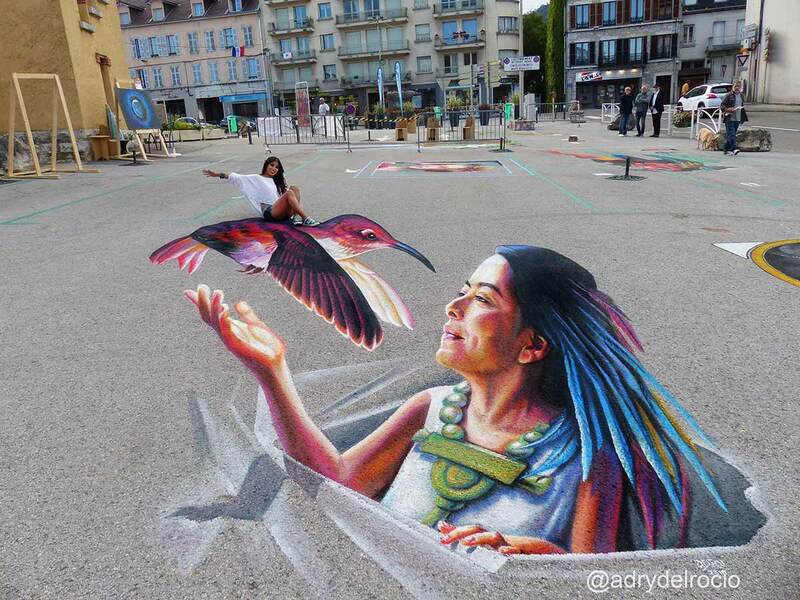 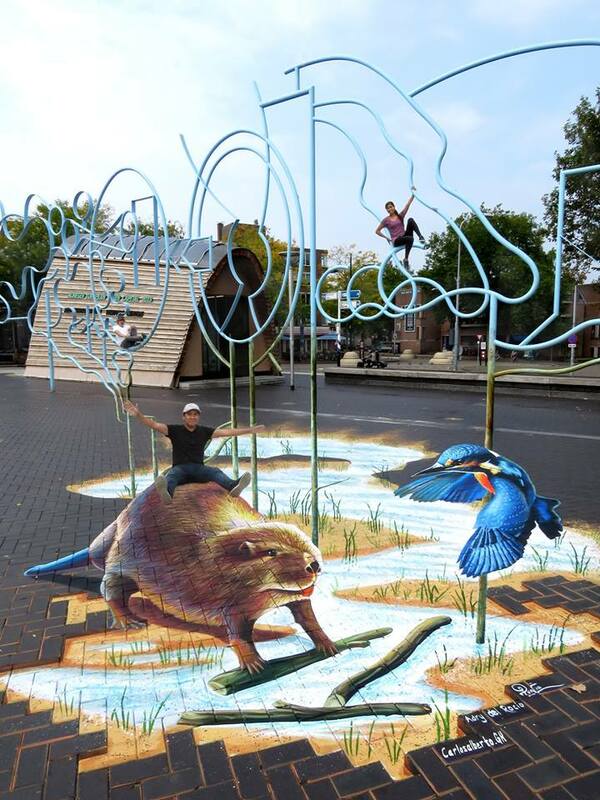 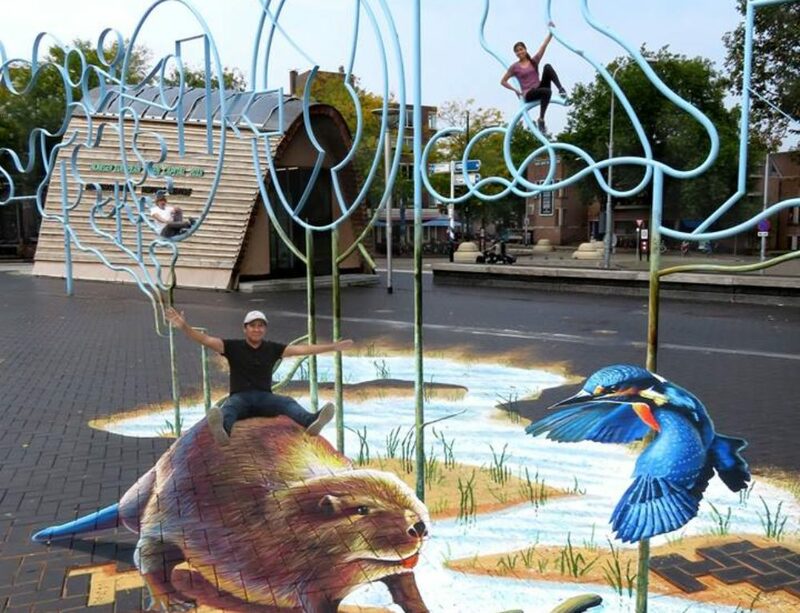 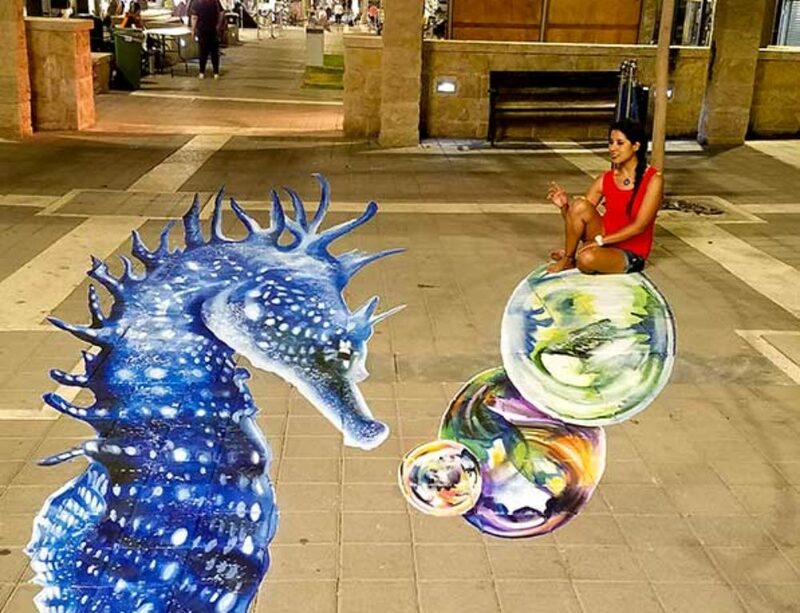 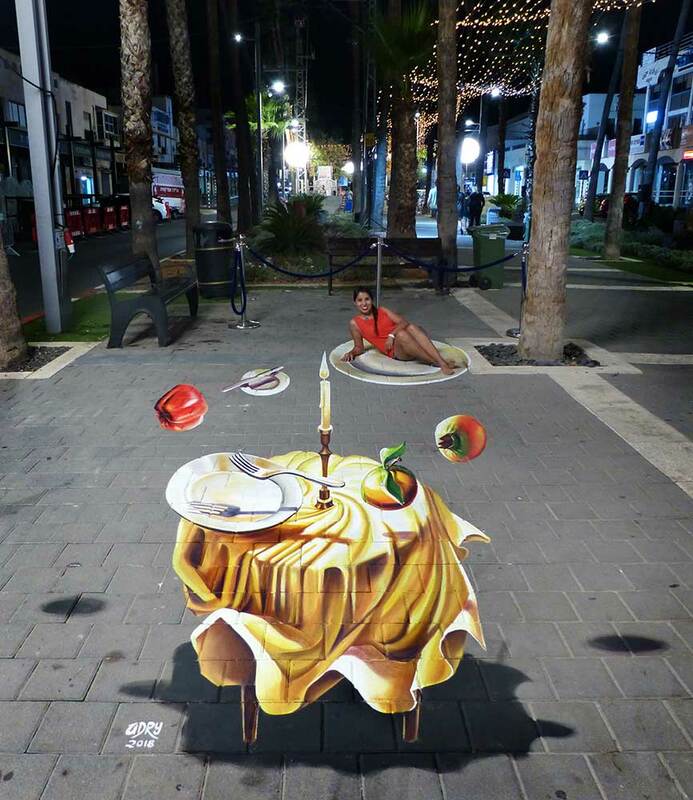 3D Streetpainting “Meeting my nahual” (Encuentro con mi nahual) created by chalk artist & madonnara Adry del Rocio at Art in Haut Bugey 2018 in Oyonnax, France. 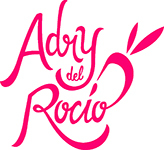 Adry won 1st prize at the Festival!!! 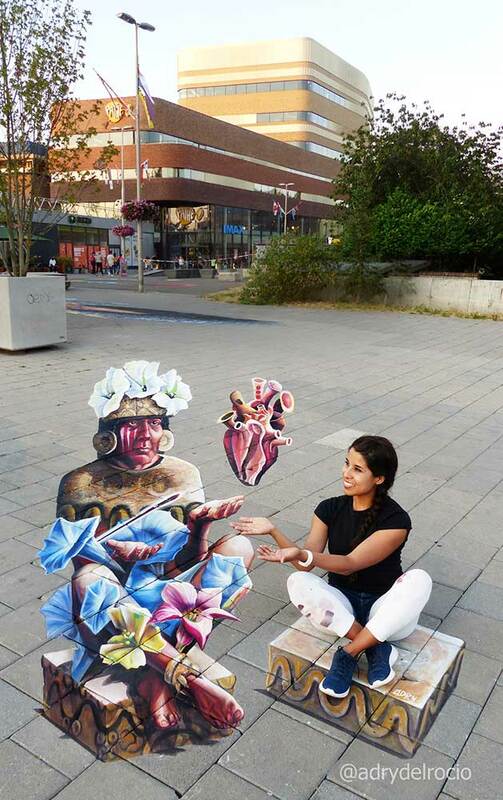 Nahual has many meanings, among them is the spirit of an animal as protector and guide that each person has at birth. 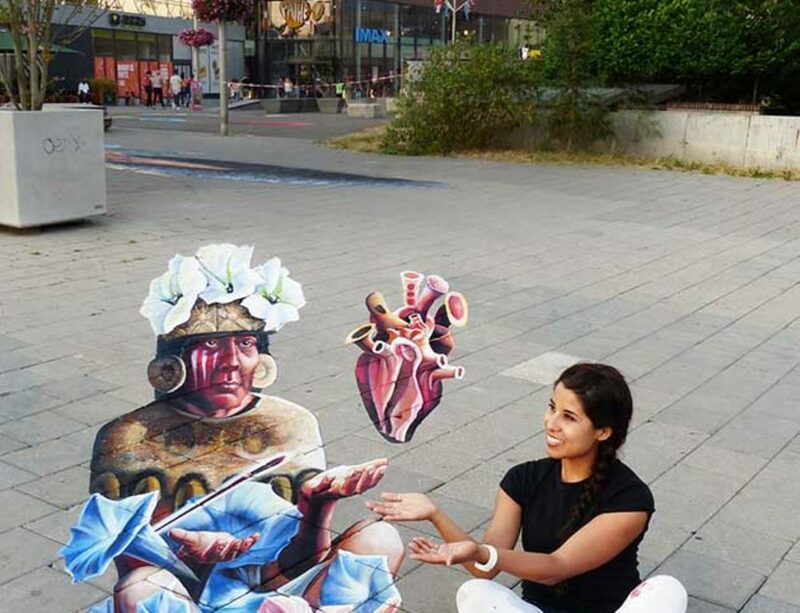 Nahual tiene muchas acepciones, entre ellas es la de espíritu de un animal como protector y guía que cada persona tiene al momento de nacer.